Automobilia, 2003. Book. Near Fine. Paperback. 1st Edition. Large format paperback book. Excellent clean condition & very carefully read. No inscription r ownership markings. No tears or loss. Illustrated with b/w photos. Text is in Italian, French & English..
Italy: Automobilia, 2003. 96 pages, 635g. Soft card covers with french flaps. Near MINT. 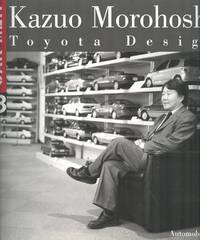 SIGNED dedication by Kazuo Morohoshi to title page. 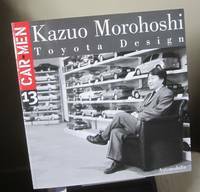 Fully illustrated with colour and b/w photographs. . Signed. 1st Edition. Soft Card Cover. Near MINT/No Jacket. 4to - over 9¾" - 12" tall. 2003-02-02. Good. Ships with Tracking Number! INTERNATIONAL WORLDWIDE Shipping available. May not contain Access Codes or Supplements. May be ex-library. Shipping & Handling by region. Buy with confidence, excellent customer service!